The Glenrothes Select Reserve single malt whisky, distributed by Maxxium UK, has bolstered its UK presence by securing a Multiple Grocer listing in Asda as well as being awarded a space in the Top Ten Malts within The Whisky Shop, the UK’s largest whisky specialist retailer. These new opportunities will extend the Speyside brand’s presence with The Glenrothes Select Reserve becoming available in 189 Asda stores from May as well as securing additional exposure in The Whisky Shop stores and their online business at www.whiskyshop.com. This adds to the brand’s current availability in Sainsbury’s and specialist whisky retailers. The Glenrothes Select Reserve is a non-Vintage specific selection carefully chosen and typifies the distillery house character of ripe fruits, citrus, vanilla and hints of spice. Introduced in 2005, and produced to the same exacting standards as the Vintages, The Glenrothes Select Reserve is presented in the iconic Glenrothes bottle and is the very essence of The Glenrothes range. The Glenrothes also recently announced the winners of The Glenrothes Vintage Maker 2012, following on from the huge success of the 2011 Whisky Maker competition, which attracted close to 5,000 entries. The 12 lucky winners from the UK, USA and the rest of the world will work as The Glenrothes Vintage Makers in the heart of single malt production, Speyside, Scotland, culminating in the creation of The Glenrothes Vintage 2012, to be released when it reaches its peak of maturity. 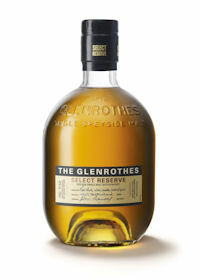 The Glenrothes is also available in a limited range of Vintages. Rare and finite, Vintages are selected on their own unique personality and include Vintages 1988, 1995 and 1998. The Glenrothes Vintages are available from www.theglenrothes.com and specialist whisky retailers.